Little Netherton is in the tiny hamlet of Netherton attached to Highley. 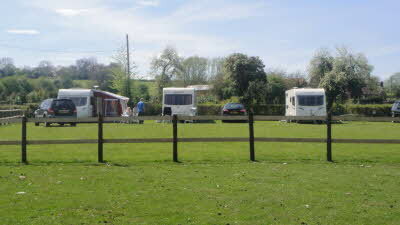 The CL is located in the quiet Netherton Lane with the large grassed site overlooking open fields. It's very good for bird watching and lots of extremely silly pheasants wander around. Owls can be heard hooting at night but not guaranteed. 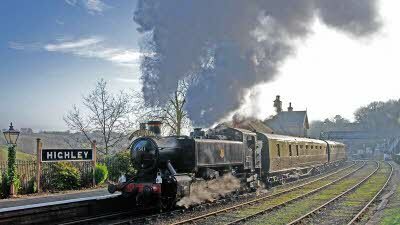 Steam trains on the nearby Severn Valley Railway are heard working hard and whistling for the many country farm crossings. 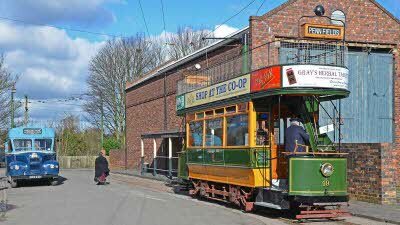 We are in an ideal location for exploring the pretty part of the Severn Valley with many nearby attractions especially the Severn Valley Railway. 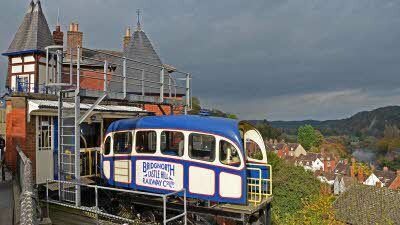 Half a mile from our site is Highley Station where regular steam trains run to the beautiful hill town of Bridgnorth, the lovely Georgian town of Bewdley and into Kidderminster. 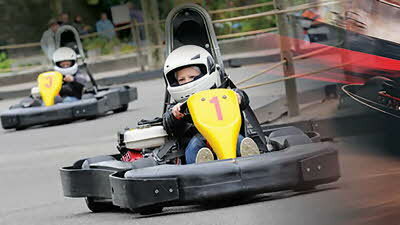 A day rover and family ticket offers excellent value for money for a day out avoiding the hassle of parking in towns. Close by for walking and cycling is the beautiful Severn Valley Country Park on the sites of Highley and Alveley Collieries, a cycle and pedestrian bridge crosses the river linking the two parts. 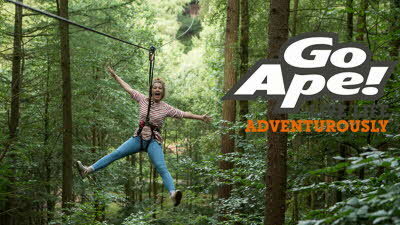 The River Severn has a good footpath in either direction also nearby is the Wyre Forest with its Go Ape aerial adventure. 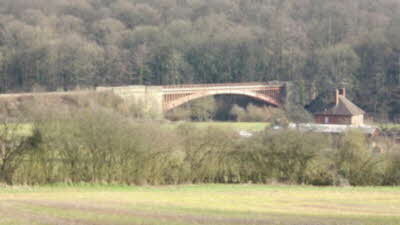 Cycle route 45 follows the railway to Hampton Loade then onto Bridgnorth in the opposite direction to Bewdley via Arley and the Wyre Forest but be prepared for the hills. 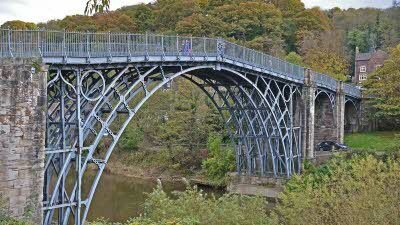 By car Bridgnorth and Bewdley are 8 miles away in opposite directions, Cleobury Mortimer 7 miles, Clee Hill 13 miles, Much Wenlock and Ironbridge 16 miles, Ludlow 19 miles, Black Country Museum in Dudley 25 miles and Shrewsbury 30 miles. On top of all this is the West Midlands Safari Park at Bewdley. There's fishing, golf and plenty of local pubs for meals, two small supermarkets and a good butchers in Highley. Busses are hourly to Bridgnorth and Bewdley. 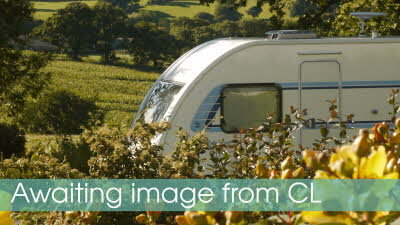 Having preferred staying on CLs ourselves in our motorhome we look foward to welcoming you on ours. For 7 night stays pay for 6 nights. 10amp electricity - Please follow directions listed to avoid grounding van on the slope at the entrance to the CL - If you have a larger caravan please disuss entering the site at the time of booking with the owner. 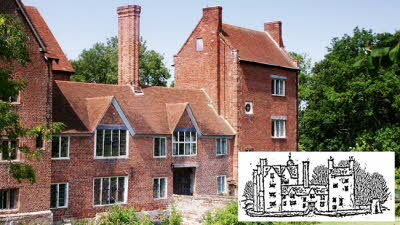 Harvington Hall is a beautiful moated Tudor manor house with a rare collection of Elizabethan wall paintings and the largest surviving series of priests' hides in the country. There is a gift shop, tea room and charming walled gardens. We spent 4 nights here. The sun shone but we managed to find some much appreciated shade on our pitch. We overlooked fields with horses and sheep - very peaceful. And of course we had Finch the Collie and his friend/adversary the Cockerel. John and Van are very good hosts and nothing was too much trouble. We spent our time traveling on the train or walking so did not need to take out the Motor Home. The Engine Shed near Highley Station is well worth a visit. It included a tour of King George VI's carriage specially made for him in the War where he had conferences with Churchill and other War Leaders. On the train we bought a Rover ticket so we could hop on and hop off. It is cheaper to buy before you go. We also used the local shops to replenish our stores and visited a Pub or two! If we came to this area again we would certainly come here. We have just spent a long weekend on this beautiful site. The family were really nice & very welcoming & very helpful. They were full of local knowledge which we found very helpful. The site itself is lovely & the views are breath taking. Although we were only there for a few days we felt like we had had a really peaceful & restful break. We can't wait to return to this site. Thank you John, Van, Boys & Finch for making our stay so enjoyable. We hope to see you soon. Di, Tony & Poppy. 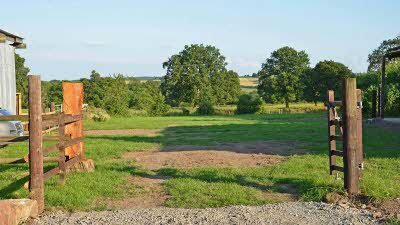 We visited this site a couple of weeks ago as part of a mini tour of the midlands and particularly because of its proximity to Highley and the Severn Valley Railway. 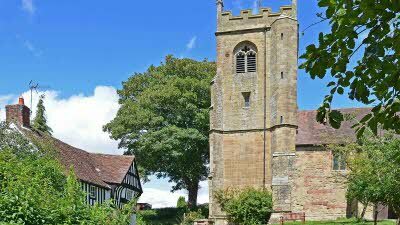 Highley, a short walk away ,has plenty of facilities including a shop and a take-away. 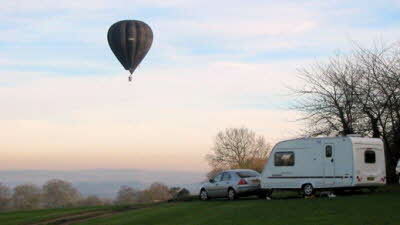 There is also the Ship Inn on the bank of the River Severn which offers a good choice of food and lovely views. There are plenty of good walks, lots of wildlife, and a good dose of peace and tranquillity! The owners , John and Van are very friendly and helpful and wiling to advise the best places to go in this lovely part of Shropshire. 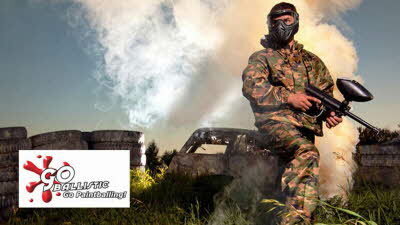 We will be returning soon!